This chart (in two pages), along with the instruction sheet, is designed to help you learn the pathways of the 12 Organ Function Flows, using Jin Shin Jyutsu Text 2. 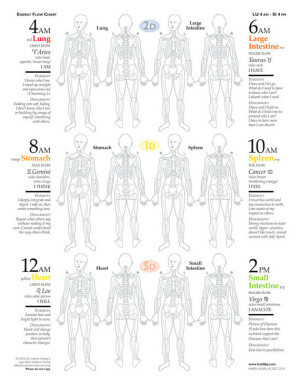 The chart has twelve sets of anatomically-correct figures for drawing the flows and includes the correlations that are relevant to the continuous movement of the flow: the order of the organ function flows and the time of day, the color, astrological sign and impetus for each flow, as well as qualities of the flow in harmony and disharmony (see the detail below). Once complete, you will have a quick reference chart for all the organ function flows. *Requires Jin Shin Jyutsu Text 2 which is available to students when taking Part 2 of the 5-Day Seminar. To find a class, visit jsjinc.net. 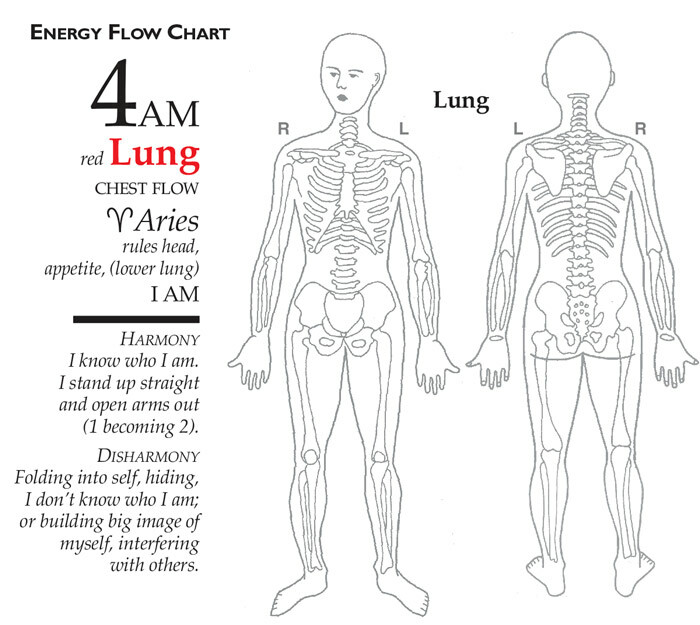 Energy Flow Study Chart © copyright 2014, Karen Searls. All rights reserved. The Energy Flow Study Chart is for your personal use and does not come with distribution rights. No part of this chart may be reproduced, stored in a retrievable system, or transmitted in any form or by any means – electronically, mechanical, photocopying, recording, or otherwise – without written permission of the copyright holder.